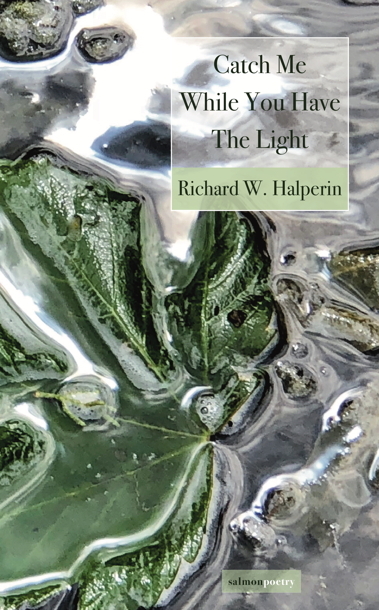 Richard W. Halperin holds Irish and U.S. nationality, and for the past decades has lived in Paris. His poetry is widely published in journals and magazines in Ireland. Catch Me While You Have the Light is his fourth collection for Salmon. The others are Quiet in a Quiet House, 2016; Shy White Tiger, 2013; and Anniversary, 2010. The latter was published in Japanese by Kindaibungei-sha Press, Tokyo. 2012. A French version, Présence, is the subject of an article in Translation Ireland 2017. He has had seven chapbooks brought out by Lapwing Publications, Belfast. The most recent of these are Prisms and Three Poem Sequences. 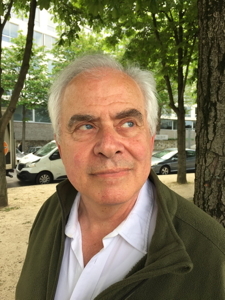 He retired in 2005 as Chief of Teacher Education, UNESCO, where he edited Reading and Writing Poetry: The Recommendations of Poets from Many Lands on the Teaching of Poetry in Secondary Schools, downloadable gratis in English, French and Spanish.